We are saddened to inform you that Izakaya Kotobuki in City will be closing its doors for last time Thursday, 14th, February, 2019 10pm due to the development of Brisbane Cross river rail. It had meant so much to us to serve our customers. Thank you for your loyal support over the past year. We will be back with fresh ideas. 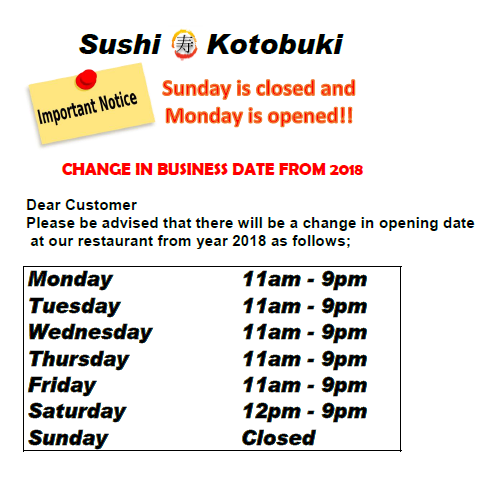 Our store Sushi Kotobuki at East Brisbane is trading as normal. 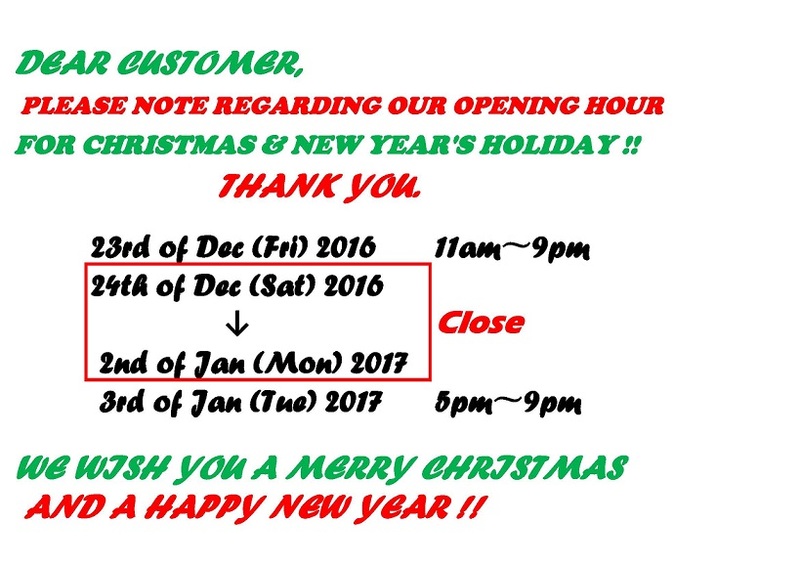 WE WILL BE CLOSED FOR TWO WEEKS!! WE WISH YOU A HAPPY EASTER !! RE-OPEN 7th April 11am with New look of Sushi Kotobuki!!! 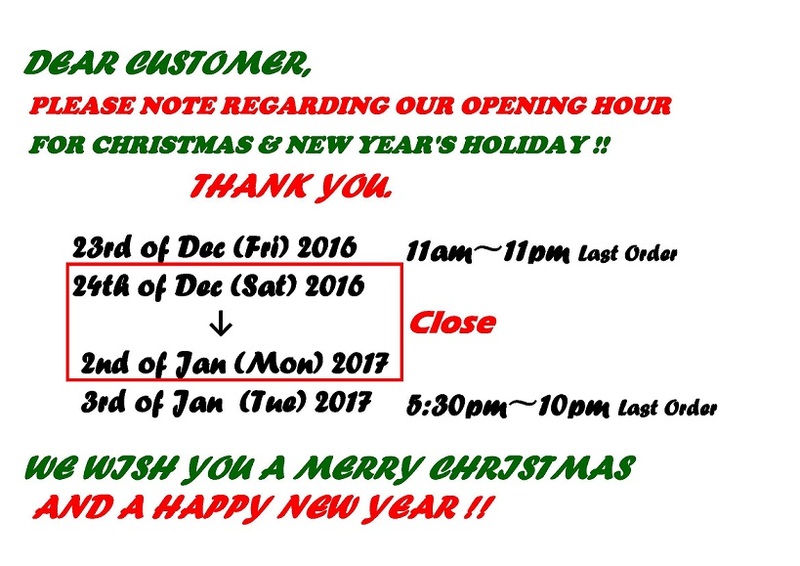 While we are closed you might try our new shop Izakaya Kotobuki. Please note regarding our opening hour for EASTER HOLIDAY!!! Our new website has launched! Check it out! Our Izakaya restaurant “Izakaya Kotobuki” is opened at Central Brisbane.